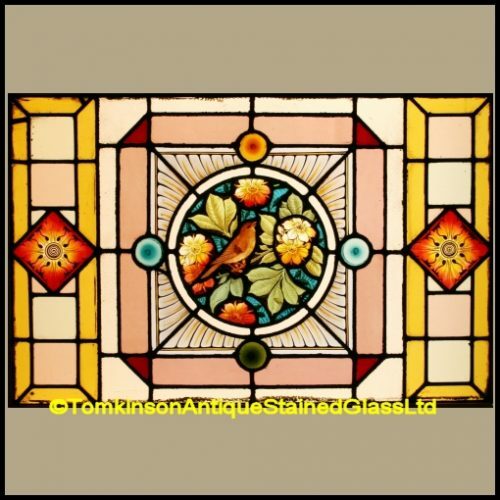 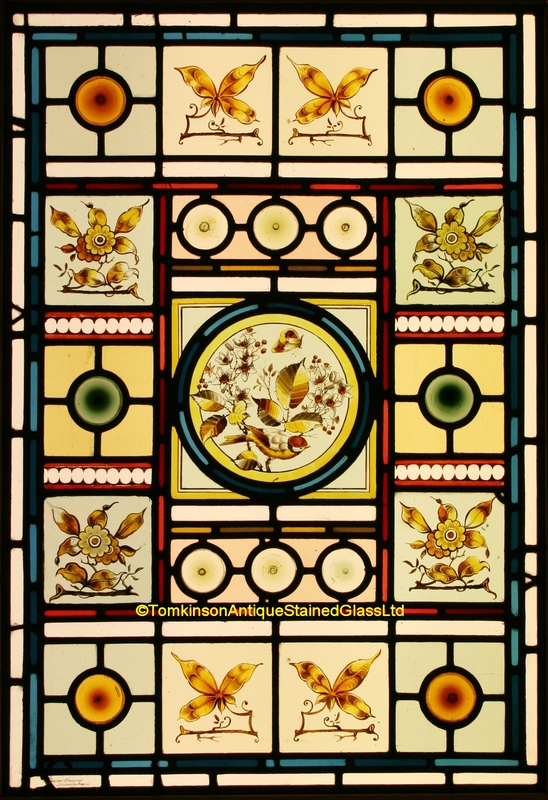 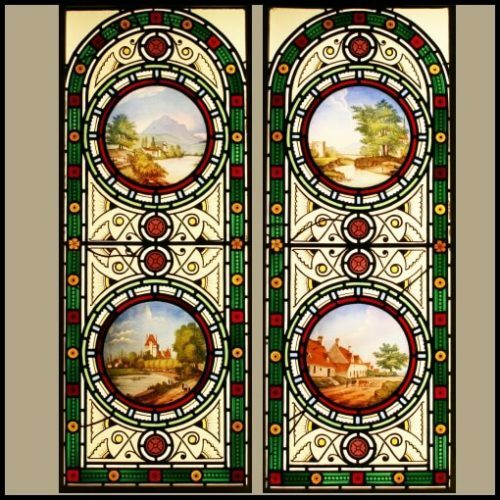 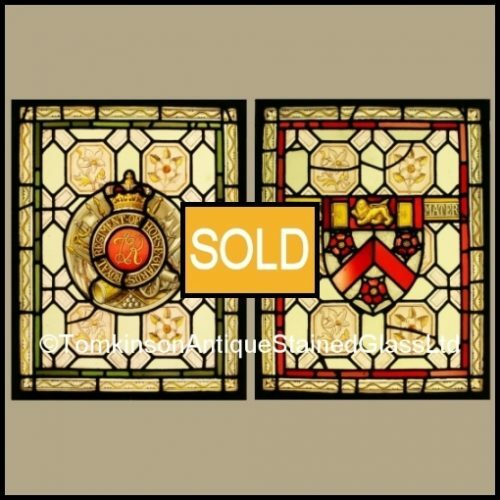 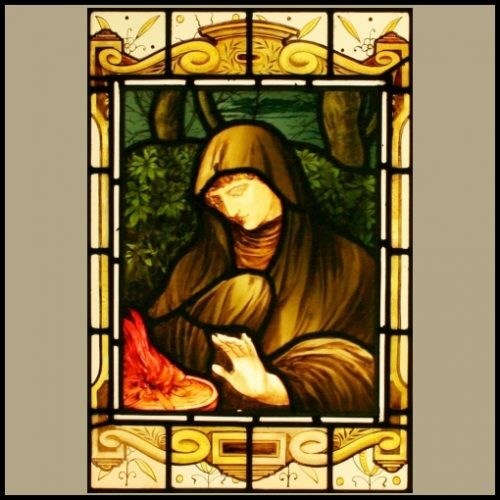 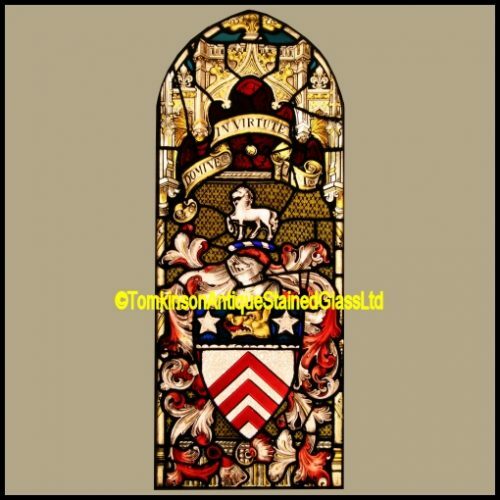 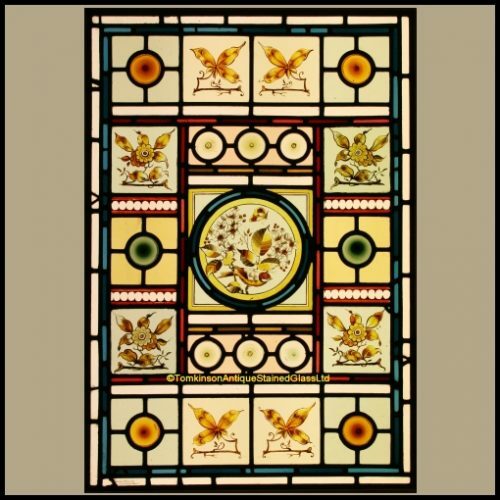 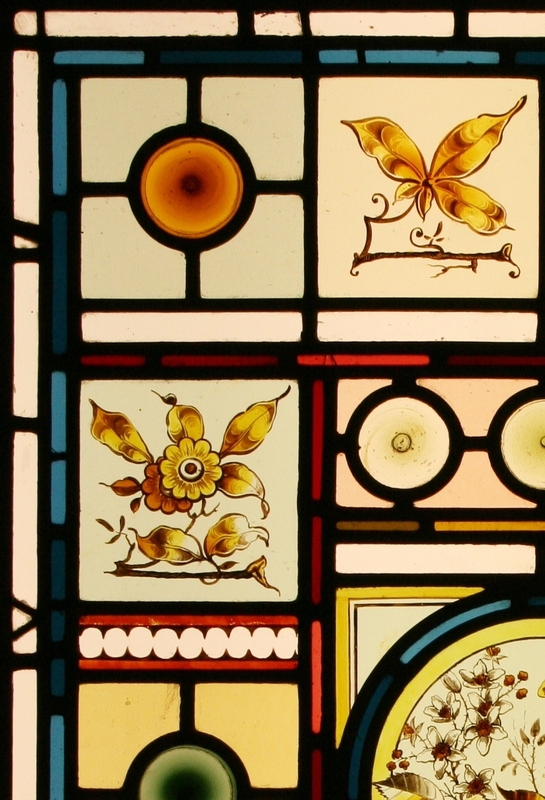 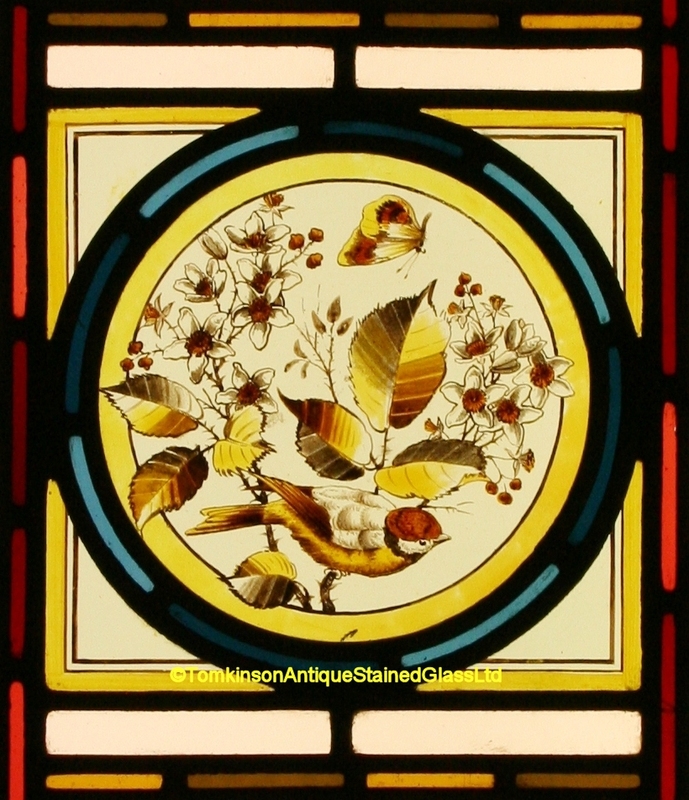 Decorative aesthetic movement antique stained glass window, leaded with a central roundel hand painted depicting a bird and butterfly, around are coloured glass bulls-eye bullions and stylised flowers and foilage. 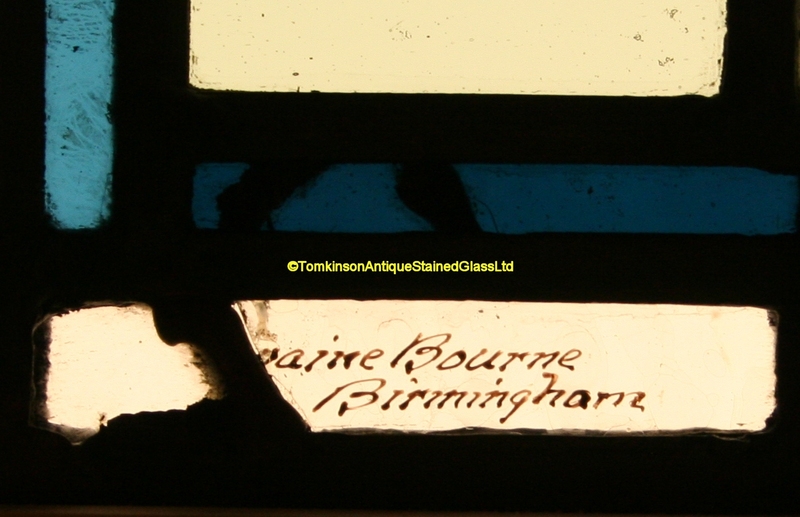 Signed “Swaine Bourne, Birmingham” bottom left border. 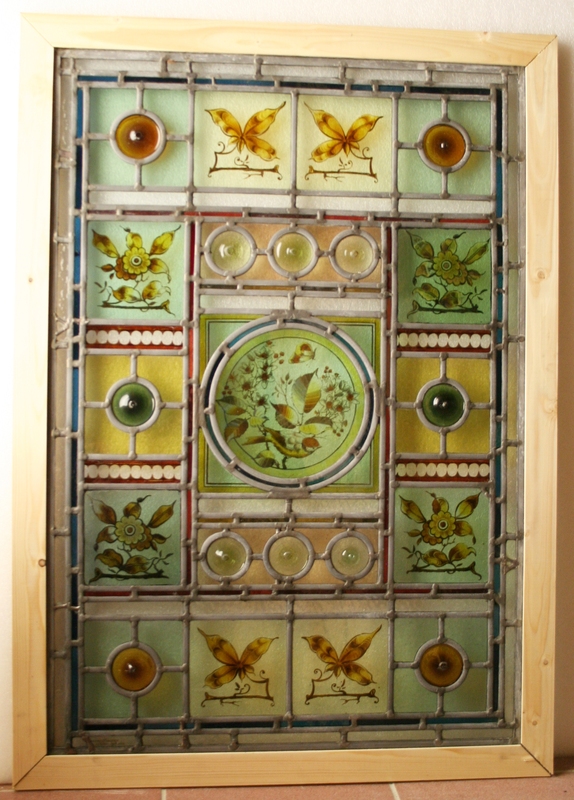 Restoration to the outer borders, otherwise in excellent original condition and in a pine frame for handling/shipping purposes.